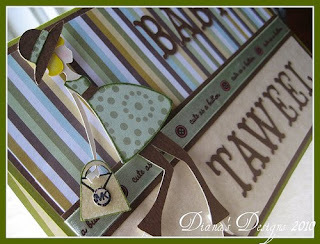 This is an old baby shower card I had made a couple of years ago. The mom-to-be was a big fan of Michael Kors, hence the designer handbag. I made a similar baby shower card a few months later. Which one do you like better? You are so talented woman! Thanks, Tammi! I think I am with you. I like the first one best. Very creative. I love the cards. But since you asked, i prefer the first. Something about the layout is more pleasing. I think part of it is the direction the lady is facing. Thank you! I know, there's something off with the second one and can't pinpoint but it. But it might have something to do with the layout like you said. Thanks so much for your feedback! i prefer the first one, but they're both REALLY nice!!! Thanks! That seems to be the majority vote so far. Aw, shucks! Thank ya darling! I love them both, however, if I were to pick just one, it would be the first!